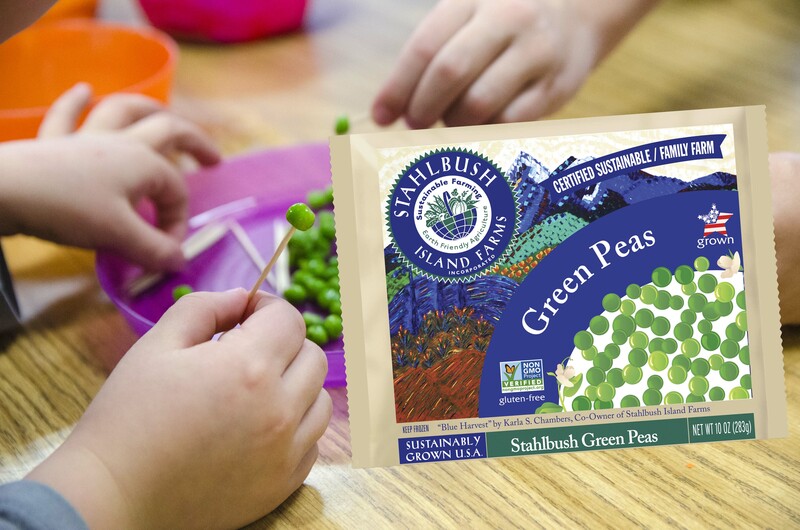 We love to support Farm to School programs at Stahlbush Island Farms. Educating children about local foods can have lasting impacts on their diets. At Stahlbush, we regularly work with Farm to School initiatives both nationwide and in our backyard of Corvallis, Oregon. This year, we partnered with the Corvallis Environmental Center‘s Farm to School Program. Stahlbush donated green peas, blueberries and super sweet corn for the Harvest of the Month. Each month, a different local food is featured in both Classroom Food Adventures and Tasting Tables. In addition, the students have a hands-on lesson that incorporates food into math, reading, writing or science. Finally, the Tasting Tables offer the students the chance to try new foods in the school lunchroom. Popular recipes include green pea couscous and blueberry yogurt parfaits. The Farm to School program in Corvallis has grown tremendously since it’s inception. It now includes both the Corvallis and Philomath area elementary and middle schools as well as the Corvallis High School. Watch how one farm to school program’s approach to local foods has lasting impacts on children’s perceptions about fruits and vegetables! Part of our mission at Stahlbush Island Farms is to combat childhood obesity. We do this through nutrition education and making fruits and vegetables more accessible. We have a yearly company goal to donate 1 million servings a year to food banks and programs like Farm to School which expose children to more fruits and vegetables.